Amidst a backdrop of global interest in digital talent, local tertiary students are choosing Computer Science/ Information Technology and Information Systems as one of their most preferred course of study. Yet while most are keen to finance their further studies with scholarships, many graduates are hesitant to apply due to concerns over their academic ability. 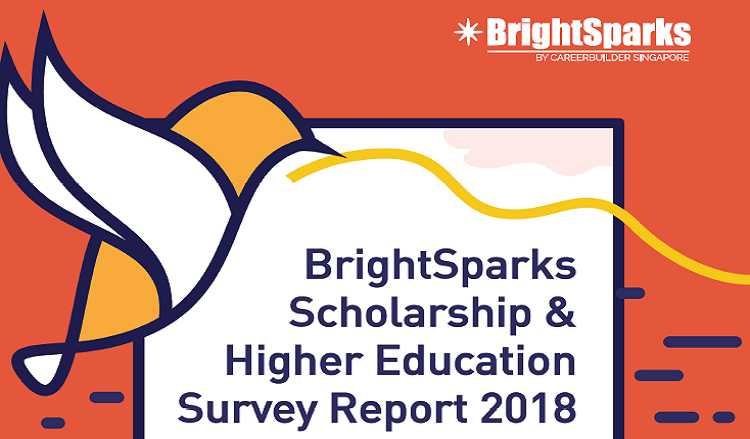 These are among the key findings of the 2018 BrightSparks Scholarship and Higher Education Survey. Computer Science/ Information Technology and Information Systems courses are the most desired courses among top GCE ‘A’ Level and International Baccalaureate (IB) graduates , and among the top two choices for all respondents. Other popular courses include Business Administration and Health Sciences. “The popularity of computer science courses could be attributed to the fact that with the upcoming trend of technology, there are excellent prospects and demand for people trained in this field,” said Premlesh Machama, APAC Region President of CareerBuilder Singapore. While applying for scholarships continue to be the preferred option to finance further studies, the fear of not being able to keep up with the required grades or not being able to meet the academic requirements is one of the biggest barriers across the board. “There is a predominant understanding that scholarships are awarded only to top students with good grades. Academic grades are not the only criteria, and there is a need to highlight to students other key attributes, such as leadership skills and co-curricular activities involvement, that can determine the outcome of getting a desirable scholarship,” added Premlesh. The Healthcare sector is the most preferred industry of work, a departure from 2017’s Banking and Financial Services sector. Respondents were also very keen on the Public Service, Banking and Financial Services, Engineering, and Computer Software sectors. Respondents were unanimous in the top three factors that makes an ideal job – Having good career growth and opportunities, work-life balance, and job security. Other factors cited include having an interesting job scope, and being in a position to make a positive impact to society. For more information on the BrightSparks Survey Report 2018, view the extract report here. Top GCE “A” level graduates refer to those “A” Level students who have attained at least three or more “A”s for their H2 subjects. Top IB Diploma graduates refer to those who have attained a score of at least 39 points and above.